The evidence that shows exercise to be helpful not only for physical health, but mental health, is undisputable. Exercise helps in managing stress by reducing the amount of stress hormones- cortisol and adrenaline2. Furthermore, it increases the “happy” hormones, called endorphins, which generates a feeling of well-being2. Incorporating regular exercise into your lifestyle allows your body to get the stimulation it needs, and to provide a feeling of relaxation after. Exercise: one of the best tools in countering depression and stress! If you are living a sedentary lifestyle (no exercise), start small by incorporating 10 minutes of brisk walking or any other physical activity after work every other day. As you begin to notice the positive improvements in how you feel and look, you’ll become more motivated to increase the amount of exercise that you do! Remember: start exercising by engaging in small and achievable activities and work your way from there. You’ll be surprised with how much you’ll end up accomplishing. Talking to someone may seem like a simple task, but it is indeed very helpful in managing stress. Sharing about your day and what is concerning you with another person can be therapeutic, and releases all that pent up frustration and tenseness that you may be carrying with you throughout the day. Feeling stressed out? Send someone a text, e-mail, or invite someone for coffee. 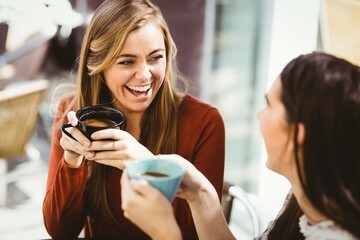 Catch up on each other’s life and have a laugh! Practicing mindfulness, such as being aware of one’s body, thoughts, or feelings in the present moment, has been shown to significantly improve a person’s mental health3. Currently, this is one of the more popular approaches in mental health therapy, and has gained significant research evidence in terms of its benefits. You can begin incorporating mindfulness in daily life by taking 10 deep breaths a day. As you take a deep breath, notice how the air moves through your nose and into your lungs. As you breathe out, notice how the air moves out of your body through your nose. Pay attention to the sensations from the movement of the air with each breath you take. You can also mentally repeat to yourself “breathing in” and “breathing out” as you are taking these breaths. Do this every day and whenever you are stressed out, and notice how it can help tremendously in calming you!